Savvy Spending: Amazon: Hamilton Beach Slow Cooker 8 Quart for only $24.59 shipped! 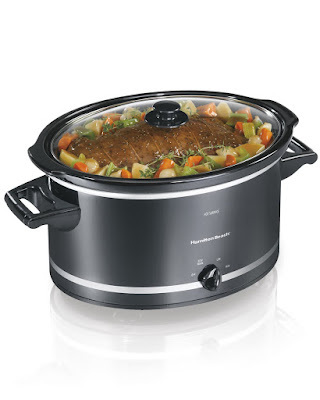 Amazon: Hamilton Beach Slow Cooker 8 Quart for only $24.59 shipped! Amazon has this highly rated Hamilton Beach Slow Cooker, 8-Quart for just $24.59 shipped (regularly $36.99). Shipping is free for Prime members or on a $35 order!